THE STORY - A former boxer loses his job as an auto mechanic, and his troubled marriage is about to expire. At this crossroads in his life, he feels that he has no better option than to work as a drug courier. He soon finds himself in a gunfight between police officers and his own ruthless allies. When the smoke clears, Bradley is badly hurt and thrown in prison, where his enemies force him to commit acts of violence that turn the place into a savage battleground. THE GOOD - Vince Vaughn gives the best performance of his career. The action is gruesome and intense which will satisfy genre fans. THE BAD - S. Craig Zahler slow storytelling leads to an overlong film that is thin on story despite being heavy on character. ​With "Bone Tomahawk" S. Craig Zahler was announced to the world as an up and coming director to keep an eye on as he showcased a command of pacing, character, setting and punctuated all of this with bone-crunching, disgusting and horrifying violence. Those traits are all on display again in his second film "Brawl In Cell Block 99." Featuring what is probably the best performance of Vince Vaughn's career and an unapologetic, no holds barred attitude towards storytelling and the violence within, "Brawl In Cell Block 99" will certainly fulfill that B-level grindhouse genre itch you've been having. Bradley Thomas (A physically imposing Vince Vaughn), has recently been fired as an auto mechanic and his wife (Jennifer Carpenter) has decided to leave him. After a passionate plea with his wife to start a new life with a bigger house and another chance to have a baby, flash forward 18 months later and all of those wishes have come true as Bradley and Lauren are living in a larger home, still happily married and with a newborn daughter soon on the way. However, Bradley had to get in bed with his buddy Gil (Marc Blucas) as a drug courier in order to make these dreams become a reality. After a job goes wrong, leaving Bradley arrested at the scene of the crime, he is sentenced to 7 years in prison. Intended on doing the time, Bradley is faced with a difficult circumstance when his former colleagues kidnap his wife and threaten to kill her and their unborn child if he does not do as they say from within the inside. Bradley is tasked with getting transferred to a maximum security prison where he must kill another prison inmate located in cell block 99. If he does this, then his wife and child will be safe. Determined to save his family, Bradley (A former boxer) utilizes his lethal skills to save his family despite what it could mean for his own life. There's nothing special about the story in "Brawl In Cell Block 99." There's nothing special about the way it is filmed or acted. It is a straightforward story about a guy doing everything he can to make sure those he loves are safe, even at the cost of his own personal safety. It creates a very sympathetic character which Vince Vaughn plays extremely well with a degree of humanity and southern charm. While he would not be the first choice for what comes to mind when I think of a 6'5" hulking, bruiser who can easily withstand punishment and beat people to death, he overcomes this bit of miscasting and makes a strong case for why he was the right person for this role. Charming, physical and intimidating, Vaughn is the reason why the film works and is a big selling point for why this film deserves a look. S. Craig Zahler brings the same methodical sense of pacing he displayed on "Bone Tomahawk" to "Brawl In Cell Block 99" and the results this time are a bit mixed. At 132 minutes, this film is possibly a tad bit overlong to justify its thin story despite being strong on the characterization for Bradley Thomas. The film will go from zero to a hundred in a flash, where one second nothing much is happening on screen till the next second, bones are being broken and skulls are being smashed in. The effect of which can be felt intensely throughout, even when the film comes to its screeching halts after the action beats, allowing us to catch our breath before the fists start flying again. 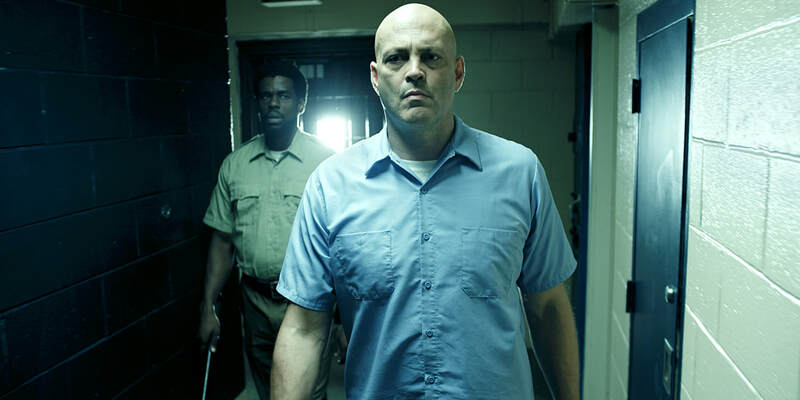 "Brawl In Cell Block 99" is a B-level genre crime film with a focus on character to help elevate its narrow story and other narrative cliches. Vince Vaughn is simply fantastic here as the righteous, good-hearted man who has the capability to end life and inflict as much punishment as he wants at the drop of a dime. I still prefer "Bone Tomahawk" but with "Brawl In Cell Block 99" writer/director S. Craig Zahler successfully avoids the sophomore slump and proves that he is here to stay.